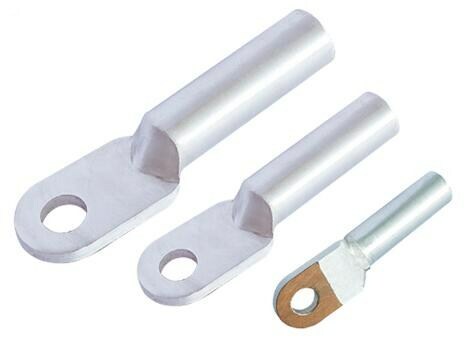 Product categories of Cu-Al Terminal Lug, we are specialized manufacturers from China, Cu-Al Terminal Lug, Outlet Bimetallic Compression Lug suppliers/factory, wholesale high-quality products of Cu-Al Cable Lugs R & D and manufacturing, we have the perfect after-sales service and technical support. Look forward to your cooperation! 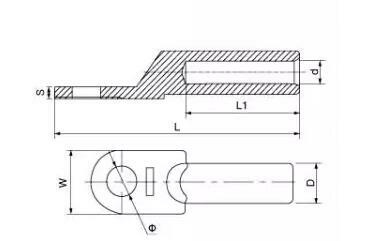 DTL series Al-Cu connection terminal is suitable for transition joint of distribution device aluminum core cable and electric equipment.DL aluminum is used for aluminum terminal linking of aluminum core cable and electric equipment. DT copper terminal is used for copper terminal electric equipment.DT copper terminal is used copper terminal linking of copper core cable and electric equipment. The products adopt friction welding workmanship. It has advantage of good electric conductance, electrochemlcal corrosion resistance, long service life.